Following the tragedy at Pulse two years ago, the Orlando community needed a place for survivors and victims’ families to mourn, to heal and to find support. Local governments and nonprofits immediately responded by creating the Family Assistance Center at Camping World Stadium, working to address urgent practical and emotional needs. Staff and volunteers helped 986 individuals and 298 families in just eight days. 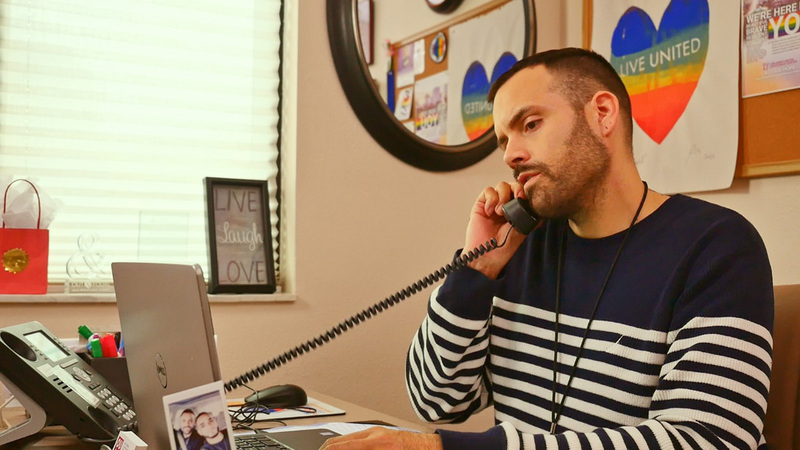 A month later, the Orlando United Assistance Center (OUAC) opened as a long-term hub of services and support for survivors, victims’ families and other community members impacted by the Pulse tragedy. Joél Morales, the Community Partnerships Manager for the Orlando United Assistance Center, has been involved with the organization since its first days at Camping World Stadium. HRC sat down with Morales to discuss the five most important things they have learned about how communities heal after tragedy. It’s been two years since the Pulse tragedy. How have you seen the role of the Orlando United Assistance Center evolve since then? Initially, we were set up to be a crisis response hub for families, survivors and loved ones. We are still meeting those needs, but we are also expanding to meet the needs of the community as a whole. We noticed that not only those who were directly affected by Pulse had been impacted. Recently, we have been moving towards serving everyone who was impacted – directly or indirectly. How have young people (children and teens) in Orlando responded to Pulse? How does your team at OUAC tailor your support services to individual needs? Children and teens responded through creativity, built from the desire to spread love. Our youth hold a special compassion not only for the communities they are a part of, but even those they aren’t. They offer a love for each other that holds no barriers and affirms all identities. This love is the love they aimed to spread through various creative projects, such as Stars of Hope. At OUAC we recognize that each person who walks through our door has a different background, is built on different experiences and experienced that terrible night differently. We know the support they need is not a “one size fits all” answer; they deserve specialized care and support to meet each of their needs. We work with a variety of different programs, organizations and resources to help meet as many of the needs of our community as we can. We know we cannot do it alone, and we use our community to help our community heal. How do you think the Pulse tragedy has changed Orlando, especially in terms of its commitment to equality and support for the LGBTQ community? After Pulse, a lot changed in the community. Before Pulse, a lot of organizations were separated from each other into different silos, all working for similar goals but not as a unified coalition. In response to Pulse, everyone began working together to heal and rebuild, and we saw a lot of those barriers break down. Organizations and people who had never worked together before came together. Through this we created a more unified community and have been able to accomplish more of our goals since we are working together, rather than separately. Important organizations were born in response to Pulse such as QLatinx and the Contigo Fund, which put queer members of our community, from all different backgrounds, into positions of leadership. From community organizations to government officials, Orlando has welcomed queer people to join and lead. Last year Orlando marked the memorial of Pulse with community-wide Acts of Love and Kindness. Why is it important to your community to respond in this way? The beautiful thing about Acts of Love and Kindness is that it encourages the community to continue that love and support seen after Pulse. It helps keep the memories of those lost alive through a positive impact made each and every day through the compassionate acts of community members. After Pulse, I saw the outcry of the community to help and support those who had just experienced one of the worst nights of their life. People were lining up to give blood, food, water--anything they could. Seeing how many people were doing anything and everything they could to support the LGBTQ community was so inspiring and reminded me of how there is so much love in our world, even when horrible things happen. There is always love; there is always hope; there is always each other. Where do we go from here? How will the Orlando community and people impacted by Pulse continue to build resilience? First and foremost, we keep going. If there is anything the last two years have taught me, it is that there are gaps in service and our most marginalized groups fall into them. We continue to fill the gaps and move to build on the needs of our most vulnerable. We build resilience by working together, not separately, and by acknowledging where our different identities overlap. We build resilience by teaching compassion, reaching out to each other, speaking up for one another and by educating and advocating. Resilience is like an umbrella. It is always going to rain but having an umbrella keeps you from getting soaking wet during an afternoon rain. You might get a few drops of rain on your pants or shirt, but nothing like if your umbrella isn’t working. Building resilience is about keeping that umbrella in working fashion, helping yourself get through the rainstorm without too much damage or ruining your hair.